Legends Beach Resort, popularly called Legends Negril, is situated in Negril, Westmoreland along the world famous 7-mile beach located approximately two (2) hours drive from the Sangsters International Airport in Montego Bay, St. James. So, you have made it through the picturesque smooth drive from the airport to Legends resort and you discover that it is located a mere 2 miles from the downtown hub of Negril. Fantastic, right? Legends Resort is a quaint 50-room bed and breakfast that boasts two (2) full service pools and all the turquoise Caribbean Sea you can soak up. 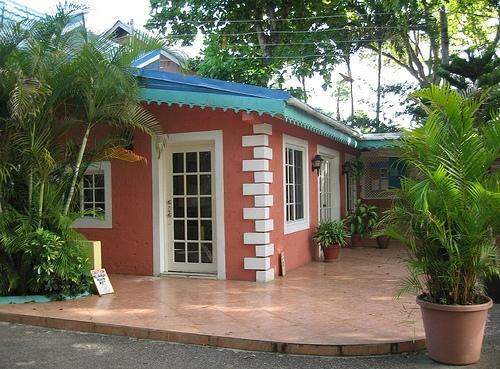 Its location is conveniently near shops and activities such as the famous Kool Runnings Water Park, the 9-hole Negril Hills Golf Course and the historical Negril Lighthouse. With a renovation exercise conducted in 2011, guests can look forward to an awesomely pristine accommodation at this Resort. Each room boasts a private patio nestled in the cliffs with views of the island’s tropical gardens or the turquoise Caribbean Sea. 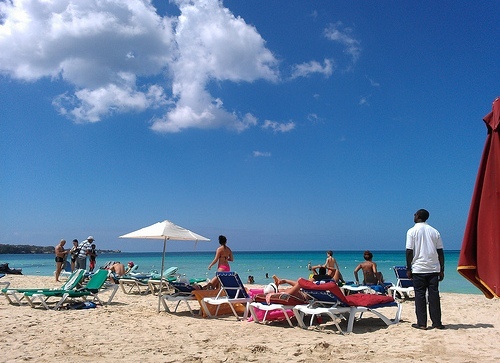 What could be better than walking along white sand beaches and plunging yourself into the warmth of the Caribbean Sea. Then, you go back to an aesthetically pleasing room which showcases an island décor design complete with cable TV, one (1) king or two (2) double beds, air condition and ceiling fans, tiled floors, sturdy and elegantly designed wood furniture and beautiful inviting fabric designs. Now you don’t feel like leaving the room, right? Well, maybe…. Amenities include wireless internet (small service charge applicable for in-room connection) in public areas on the Resort grounds and complimentary beach shuttle to a vast array of other beach areas within the area. As guests of Legends Resort, you have the option of booking an all-inclusive or a room-only plan. With the all-inclusive plan you can look forward to dining in an open-air restaurant, grabbing a cold Red Stripe or island cocktail at the beach bar, live entertainment on select nights and activities beyond compare. Excluded is laundry/dry cleaning services, motorized watersports, airport transfers, premium food/drink items, spa facilities, offsite tours and scuba diving/snorkelling excursions. Well, with all this packed into one little Resort, Trip Advisor has ranked it # 52 of 95 Resorts in the Negril area! So, come on down to Jamaica and be a legendary guest at Legends Negril! !